Have your own CUSTOM scene created, any location or scene to capture your memories or favourite place. It could be the seaside with nautical elements or an industrial location such as the Welsh mining community. A holiday spent in a wonderful location or a family day out, all can be wonderfully re- created to capture your memories. I can either work from images and photographs along with your story and details. On site can also be arranged if you wish, however please message me to discuss as price will vary. 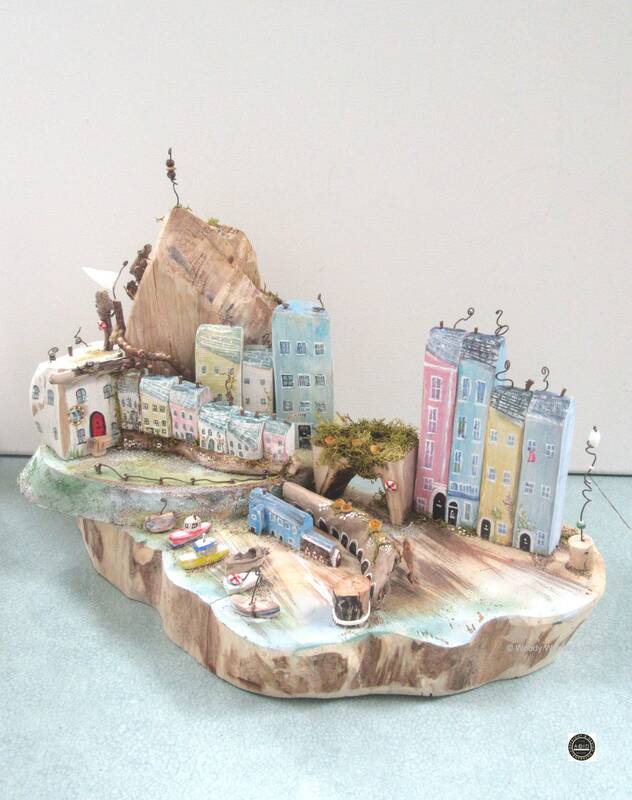 The Tenby scene is an example of what can be made from your story and was custom made for a buyer. 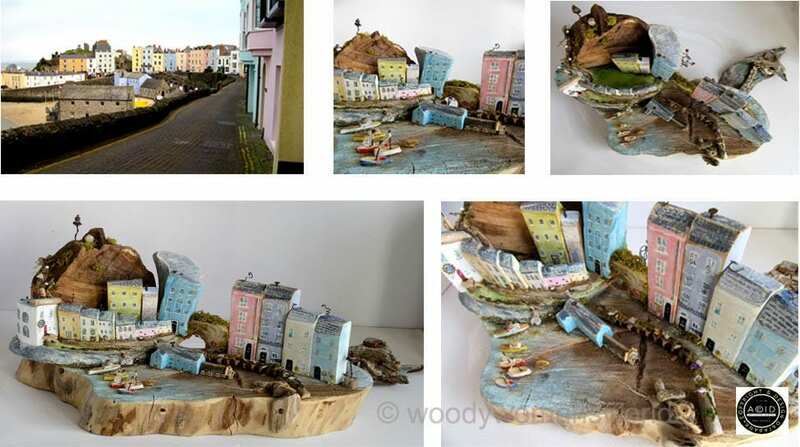 The story of Tenby scene. 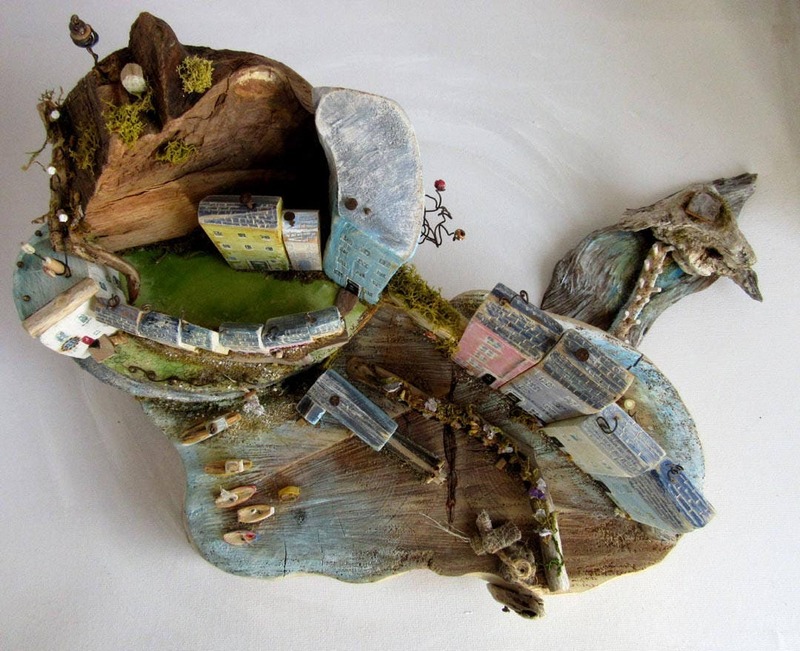 Driftwood and reclaimed woody gems have been redefined into a scenic sculpture. 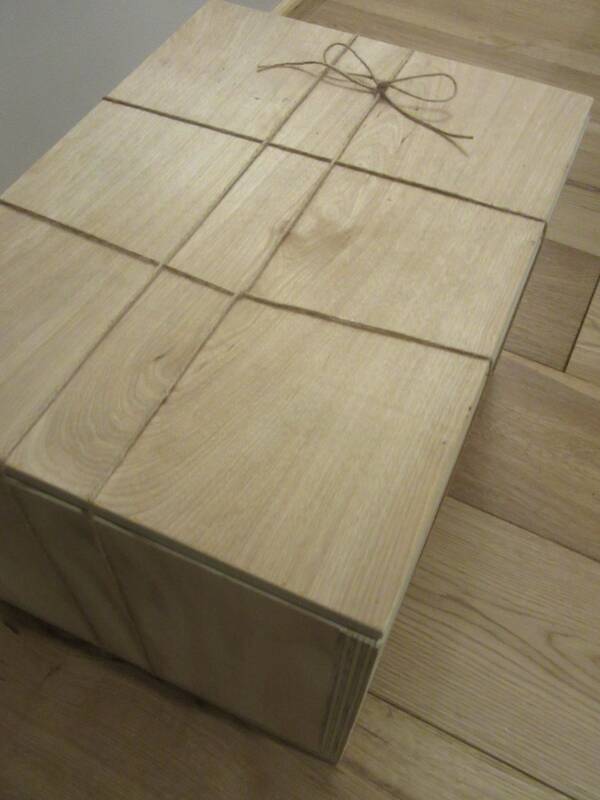 Carefully handmade with consideration for our environment in the heart of my little Welsh cabin. 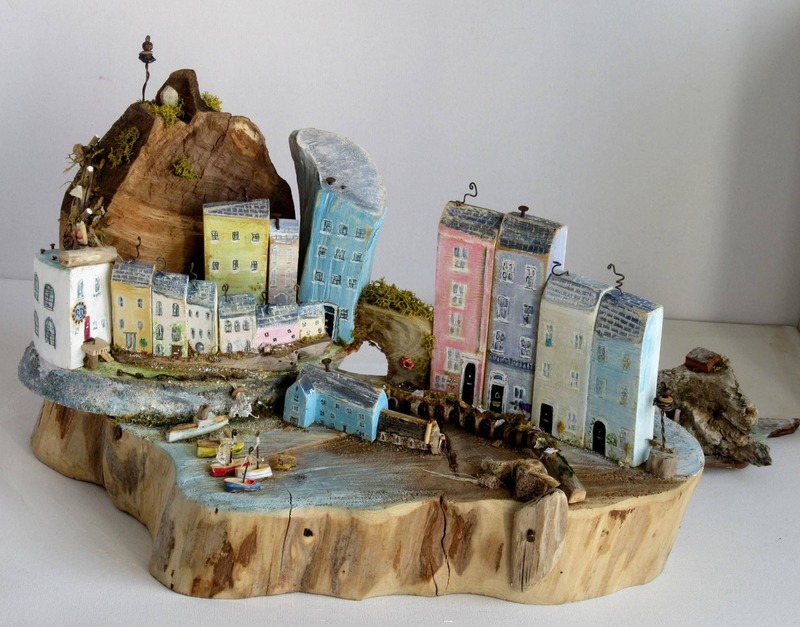 The sculpture has been custom made to send a little part of Wales to someone who has spent many happy years in Wales and now lives elsewhere. It captures colours, shapes and atmosphere but most importantly many happy memories. 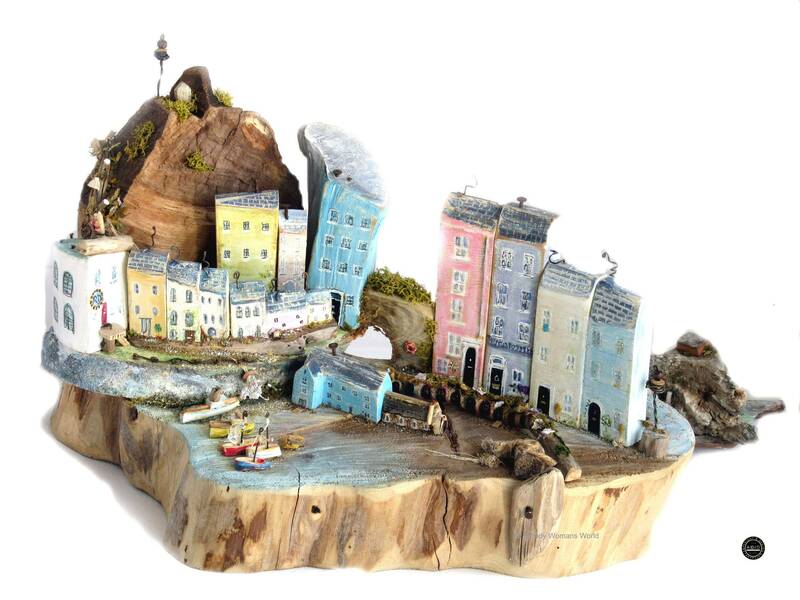 Tenby is a well known Welsh seaside town with windy cobbled paths that are embraced by a 13th. Century wall. 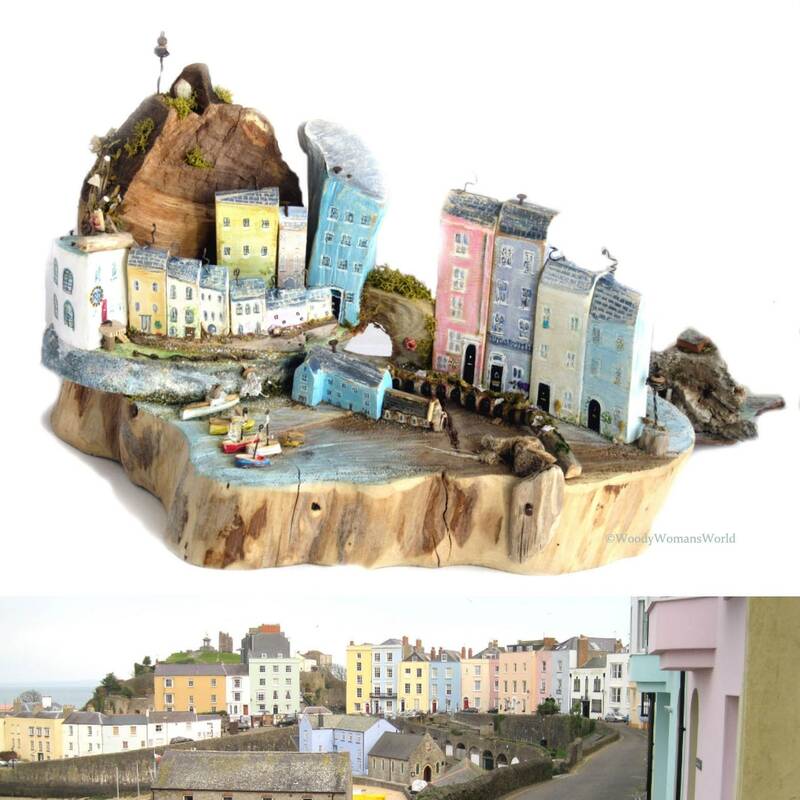 Tenby oozes charm for everyone and is a feast before the eyes with the deliciously painted houses that overlook the harbour. Footpaths, archways and walkways take you to all the nooks and crannies that are so popular with artist and creatives alike. It was in one of the cosy harbour cottages that Roald Dahl spent his childhood summer holidays. A place that surely inspires the creative side in everyone. 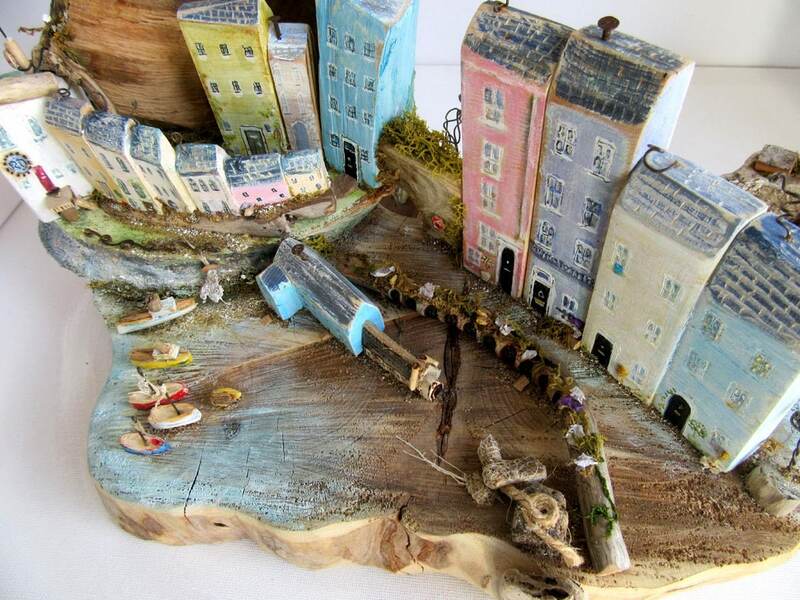 A vast array of little treasures have been used to create Tenby which include, wood, wire, pebbles, sand, petals, paint, shells, pyrography, carving to name just a few. After you are happy with the design developed from your brief you will kept updated until it has been completed. The timescale for a scene like this to be made will vary and dependant on size but please feel free to message me to discuss. Typically 4-6 weeks but this is dependant on sculpture size and current commissions. Your custom sculpture is sent via courier and has free UK delivery and normally on a 24-48hour delispatch for a prompt delivery to your door. 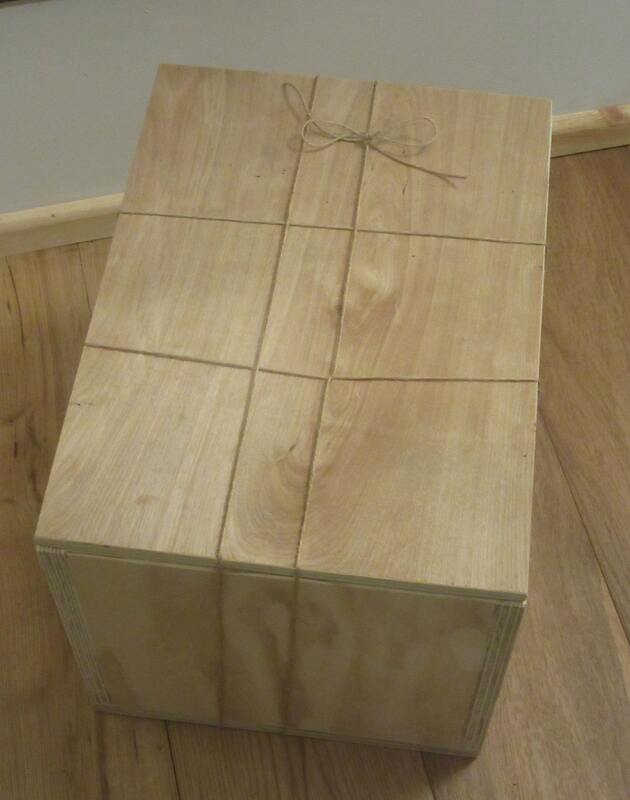 It is well wrapped in a hand made wooden box which is custom made for your sculpture and can be reused.